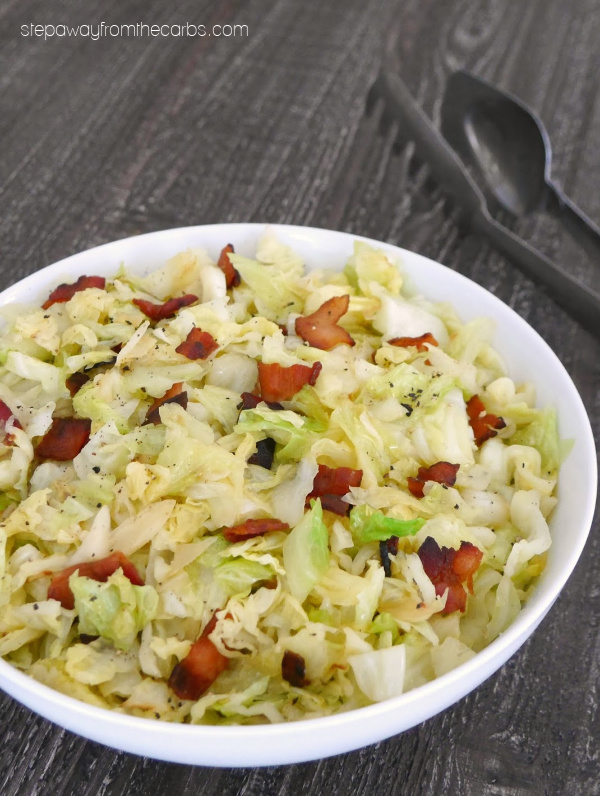 Have you tried bacon fried cabbage? 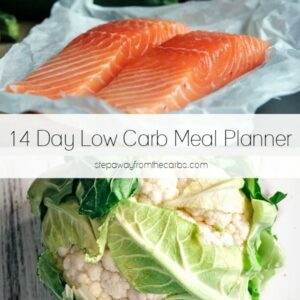 It’s a fantastic way to cook cabbage, and it makes a wonderful low carb side dish! OK. I’ll admit it. Cabbage is NOT the most interesting vegetable. 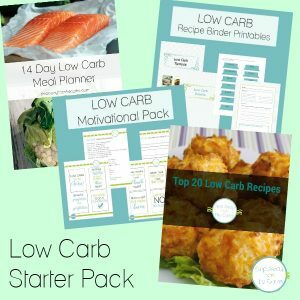 But as one cup of chopped cabbage (approximately 89g) contains just 3.8g net carbs, it definitely has a place in the low carb repertoire. However, other than my Horseradish Coleslaw (which is SO good), I haven’t got any cabbage recipes on this blog! At first I was unsure how to cook it. With some of these recipes, the bacon is just there because it’s well… bacon. In others, it’s there because of the melted bacon fat, too – like in this recipe! 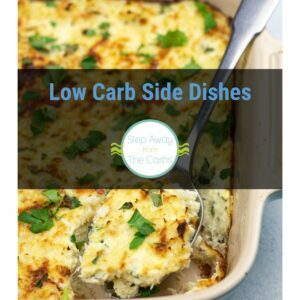 The bacon fat enhances the whole dish, and it gives the cabbage such a fantastic flavor. 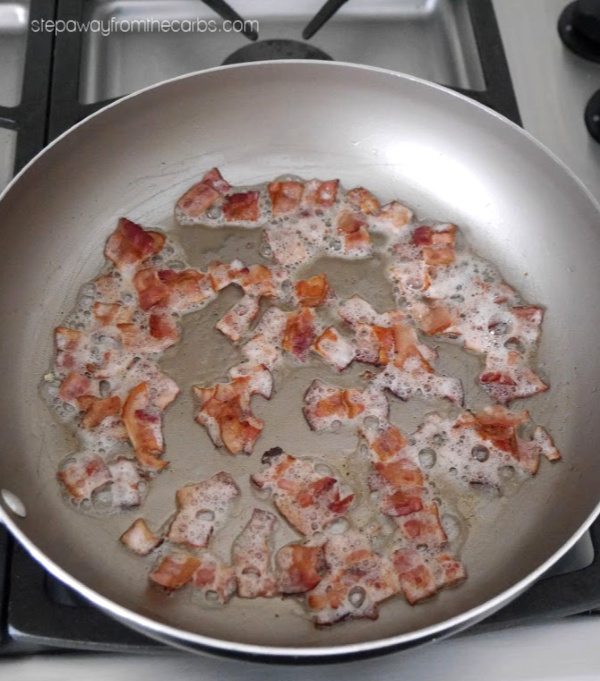 In a large skillet, cook some chopped bacon until crispy. Smells so good! 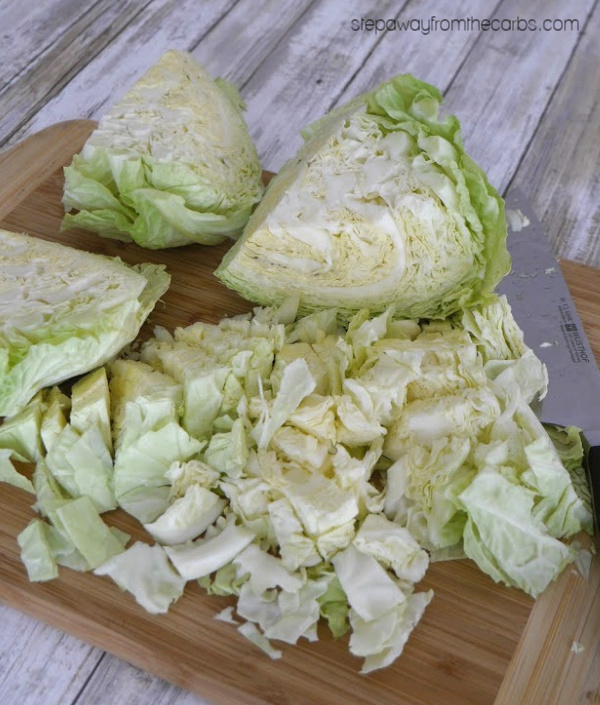 Meanwhile, prepare the cabbage by cutting it into quarters, then removing the core. Cut the quarters into slices, then chop into shreds. Remove the bacon from the skillet but leave the oil. Add the chopped cabbage, together with some onion powder and garlic powder. 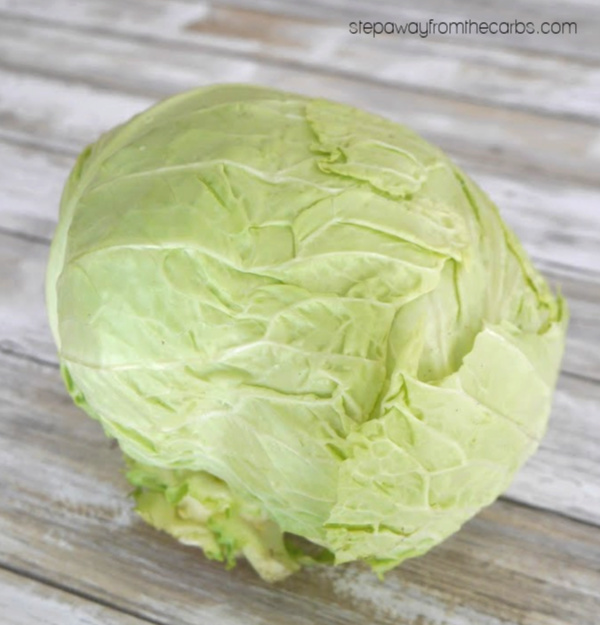 Cook until the cabbage is done – about 15 minutes. Season with salt and pepper, then add the bacon back in. Serve immediately! 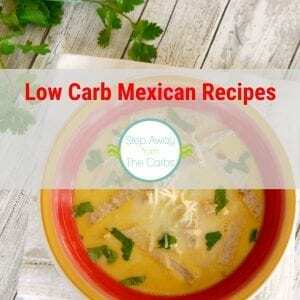 This would be a great low carb side dish to go with chicken, pork, or steak! 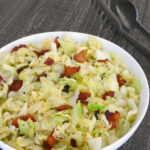 Bacon fried cabbage is a fantastic way to cook cabbage, and it makes a wonderful low carb side dish! Remove the bacon from the skillet but leave the oil. Add the chopped cabbage, together with some onion powder and garlic powder. Cook until the cabbage is done - about 15 minutes. Season with salt and pepper, then add the bacon back in. 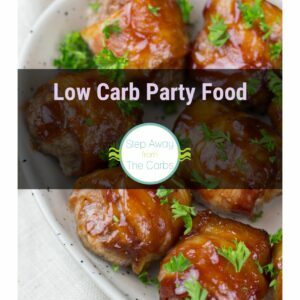 6g net carbs per serving (one sixth of the whole recipe).